We believe in unicorns! 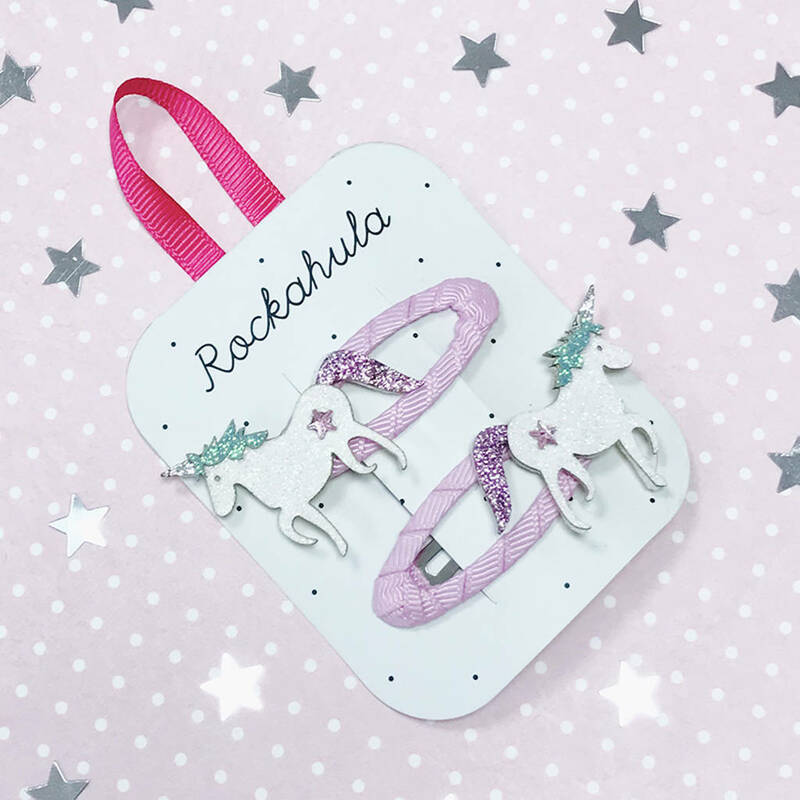 And so can you, with these two glittery beauties, each one secured to a grosgrain ribbon wrapped clips. Polyester and plastic, ribbon wrapped iron clip. This product is dispatched to you by Rockahula Kids.